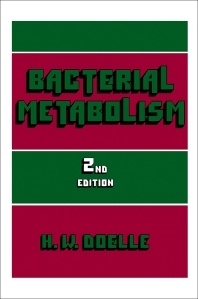 Bacterial Metabolism, Second Edition describes microbial systematics and microbial chemistry and focuses on catabolic events. This book deals with the progress made in bacterial metabolism that includes data on regulatory mechanisms; comparison of bacterial growth kinetics with enzyme kinetics; aerobic amino acid catabolism; and the glucose transport mechanism. This text also emphasizes the development of photosynthetic phosphorylation in the different bacterial families. This book explains anaerobic respiration and carbohydrate metabolism—glucose, fructose, lactose, mannose, allose, and sorbitol. This text then describes aerobic respiration including the "Nitroso" and "Nitro" groups of genera, and the Knallgas bacteria, which use the reaction between molecular hydrogen and molecular oxygen as their source of energy. This book also explains the microbial transformation of iron as caused by either specific organisms (e.g. Ferrobacillus ferrooxidans) or nonspecific organisms. This selection also explains the process of fermentation by Enterobacteriaceae, lactic acid bacteria, and proteolytic clostridia. This text can be valuable for microchemists, microbiologists, students, and academicians whose disciplines are in biological chemistry and cellular biology.